Do you feel that tourists sometimes get to know your country, hometown, or state better than you? I feel that sometimes. I’ve been known to travel halfway across the world to dive into a culture, but then not explore a national park close to home. That is why, I asked Shannon McClure, a peer travel writer from the U.K., but based in Texas to give us her two cents on three incredible states to see in North America. The U.S. is a great place to explore for travelers both domestic and international. Each state feels like an individual country in its own right. You can live here for years or decades and still only scratch the surface of what this great nation has to offer. Still, if you’re planning a vacation to North America then you’ll probably want to narrow down your options. Here are three incredible states to see in the U.S.
Let’s start by talking about the sunny state of California. The west coast is a beautiful place with a lot to offer in terms of natural beauty and bustling cities. You’ll probably want to start off by seeing Los Angeles. That’s where all the action happens. You can start by taking a tour of Hollywood. There’s something unique about this famous part of the world that’s created so many wonderful films. Once you’ve had your fill of movie magic, you should head up the Hollywood Hills. They provide a beautiful view of the L.A. skyline, and you could also see the Griffith Observatory whilst you’re up there. Once you’re done with Hollywood, you should also head into downtown L.A. to see the city up close. Grand Central Market has some wonderful dining establishments such as Olio Pizzeria, and it even puts on live music. There’s also a lot to see in L.A. when it comes to theme parks. Universal Studios hosts fantastic tours of sets from the world’s most famous movies, and it also has some fantastic rides. It’s a great day out. You could also take the Warner Brothers Studio Tour whilst you’re in the city. And, if you head out from L.A., you’ll find Disneyland Anaheim. If you want to relieve some childhood magic then that could be a fun experience. You might even want to check out hotels near Disneyland, Anaheim if you want to stay for a few days. You can’t soak up everything that crazy theme park has to offer in one day. Another incredible state that you need to see in North America is New Hampshire. It’s a very different state to California, but it’s beautiful in a different way. There’s a lot of natural beauty to absorb here. You should trek through the White Mountain National Forest in Maine. There are fantastic alpine forests, crystal clear lakes, and magnificent mountains to explore. It’s a breathtaking place to explore. It’s also a great travel opportunity during winter; you could go snowboarding or skiing down the mountains. If you head to the Boston area then you have to hike up Mount Monadnock too. Seeing a beautiful landscape from that height is amazing. Texas is the third and final state on this list, but that doesn’t make it the least impressive. 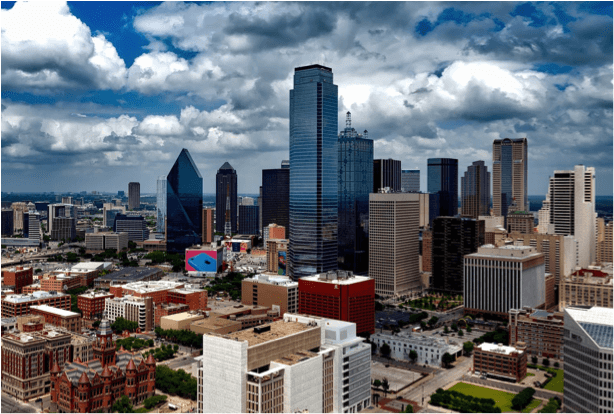 There’s so much to see in this part of the U.S. Of course, whilst there’s a lot to experience in the busy centers of cities such as Dallas, there’s also a wonderful natural side to this southern state. You should head to the Big Bend National Park if you want to explore some of the wonder that nature has to offer. Make sure you check out the popular Chimneys and Marufo Vega Trails.